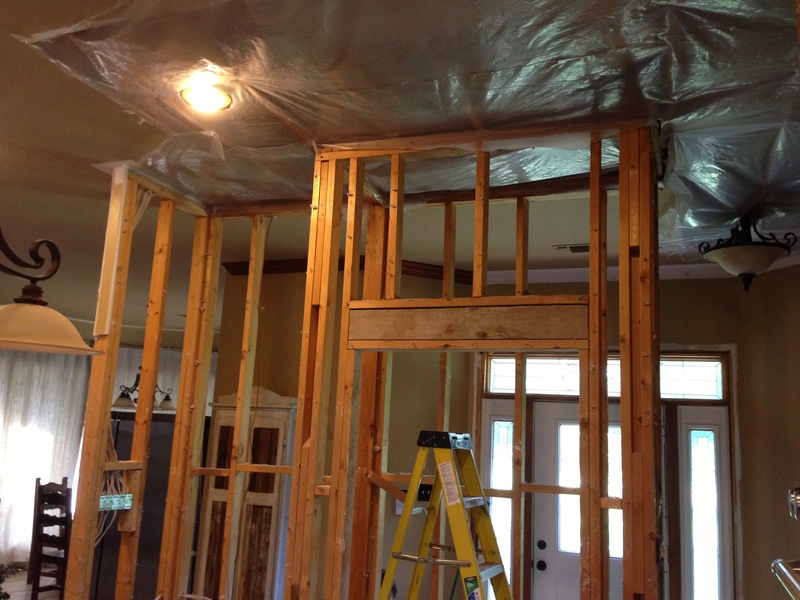 This is what it looked like when we started. 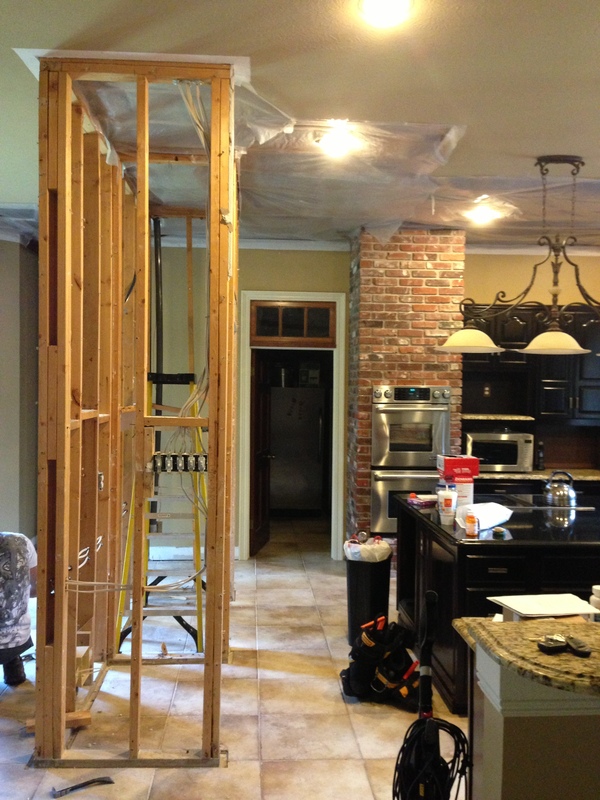 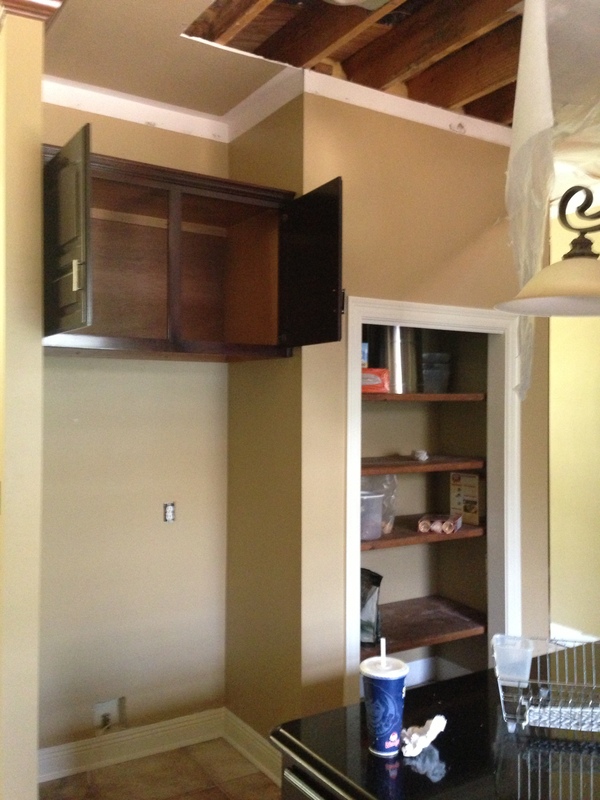 We knocked out this section of wall and pantry to open up the kitchen. 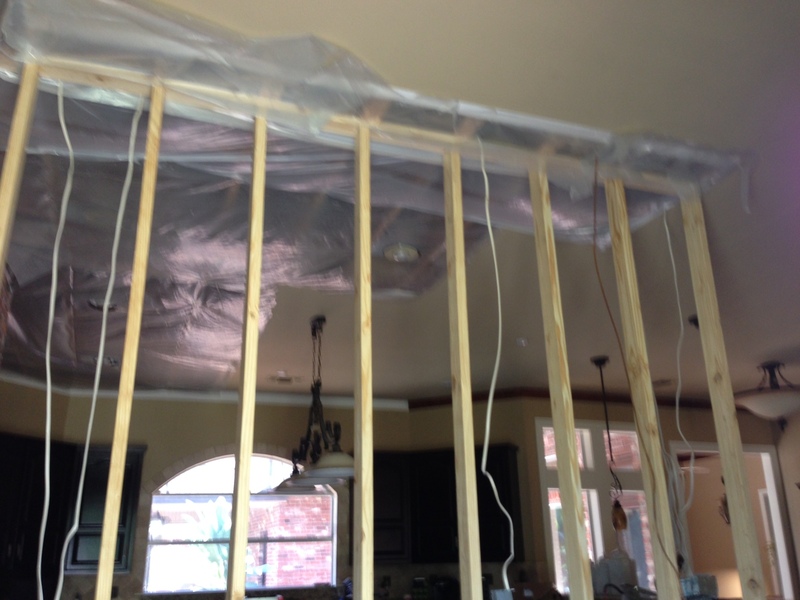 Next, we built a fake wall, to support the ceiling, while we knocked out the old walls. 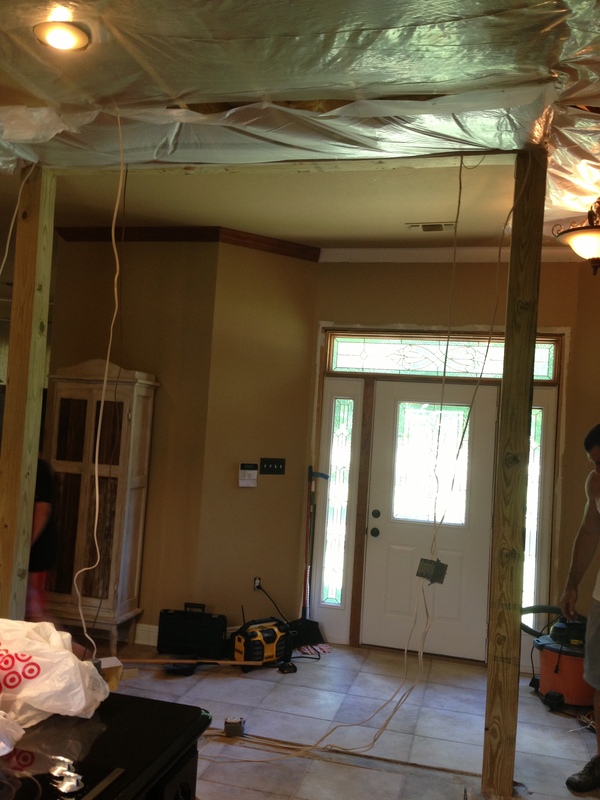 From here, we in stalled two post and a header board. 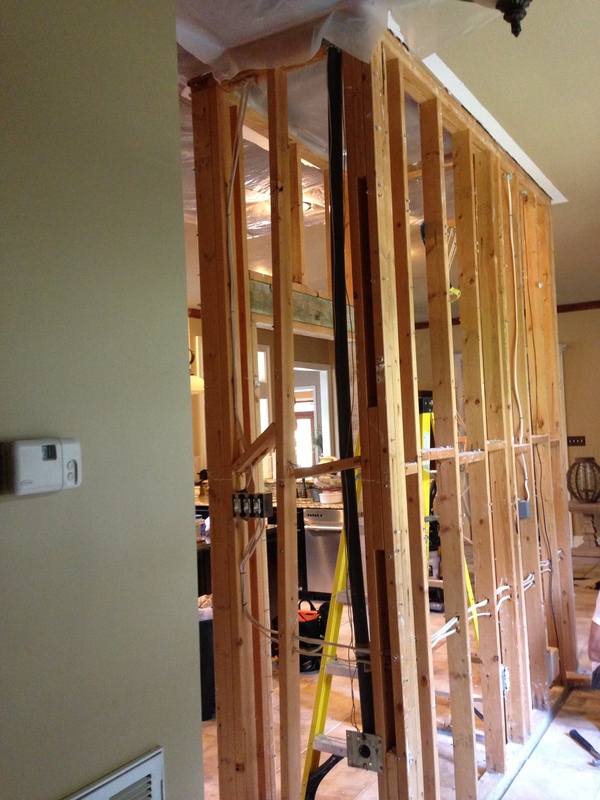 Now, the kitchen was opened up and you could finally see the door! 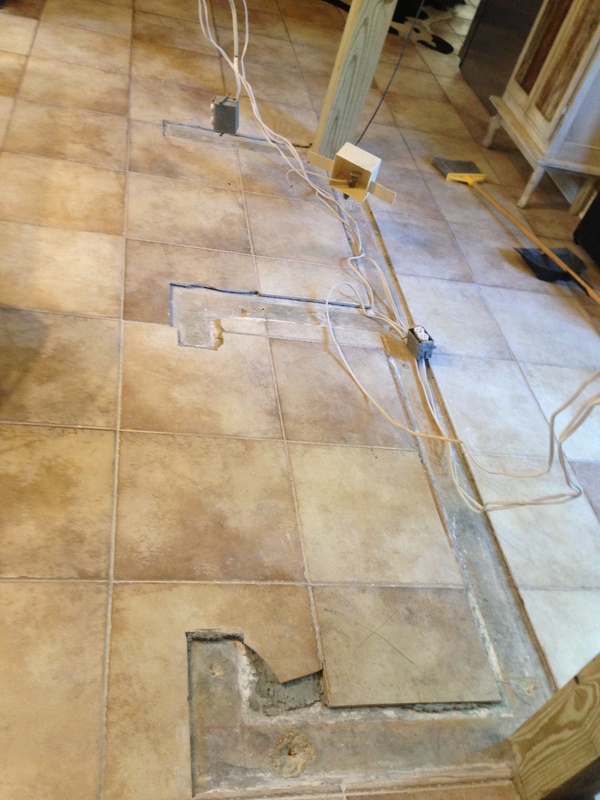 The only problem we had now was that this wall/pantry section was built before the tile was put in. 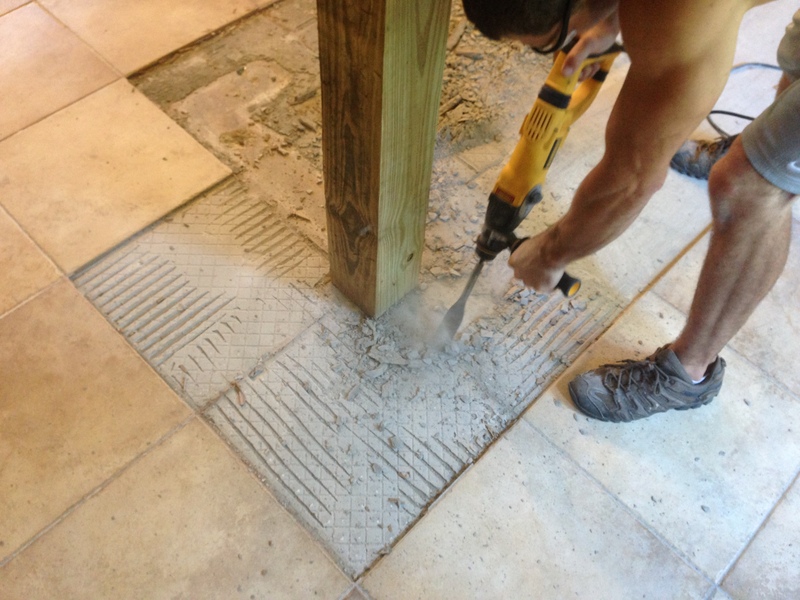 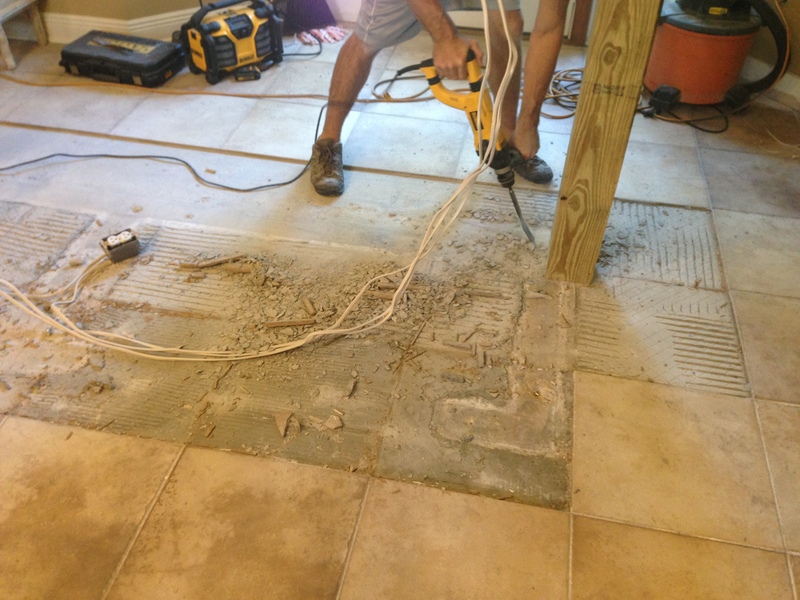 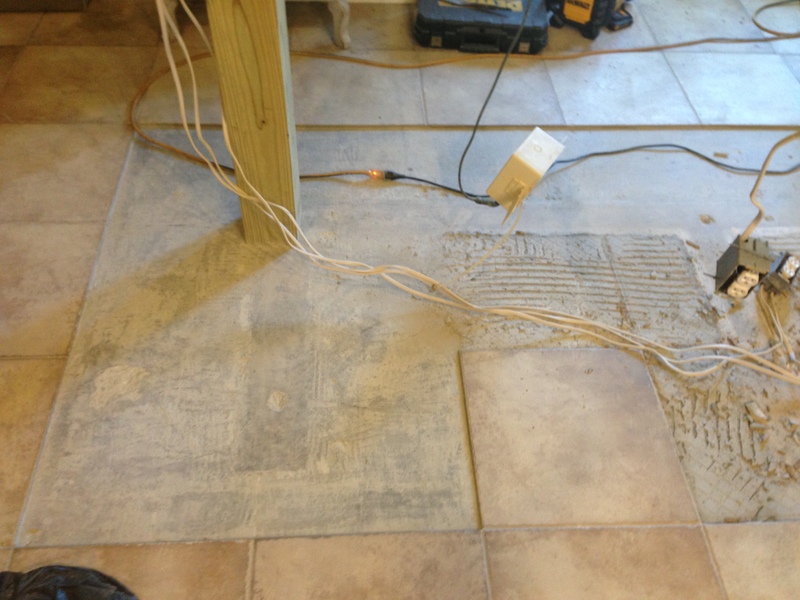 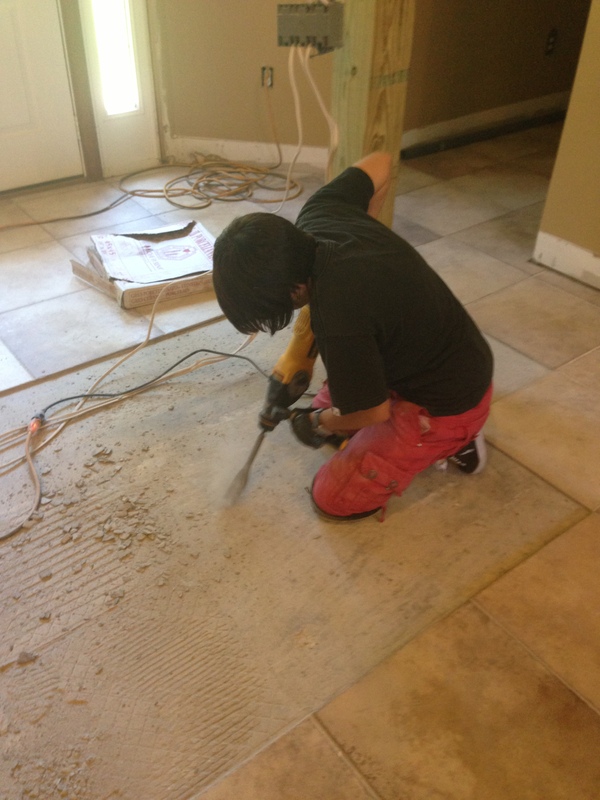 So, we had to break out the mini jack hammer and bust up the old tile. 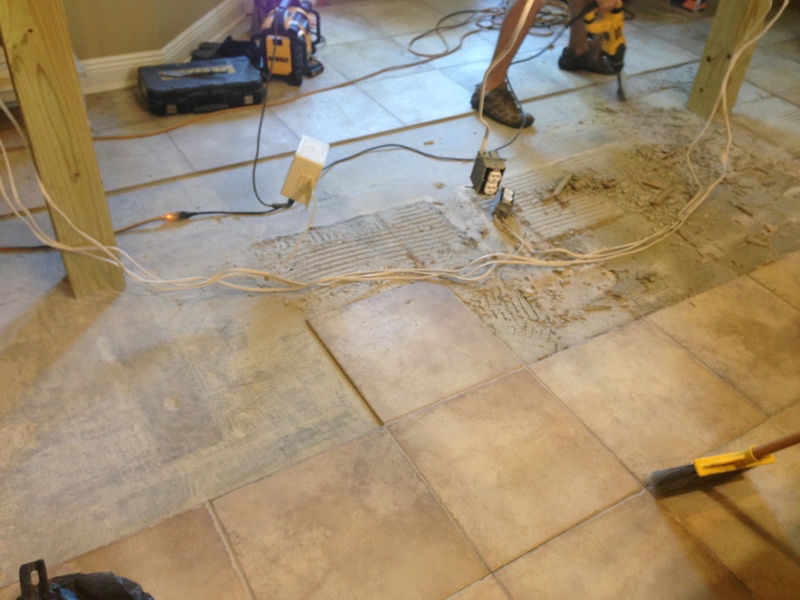 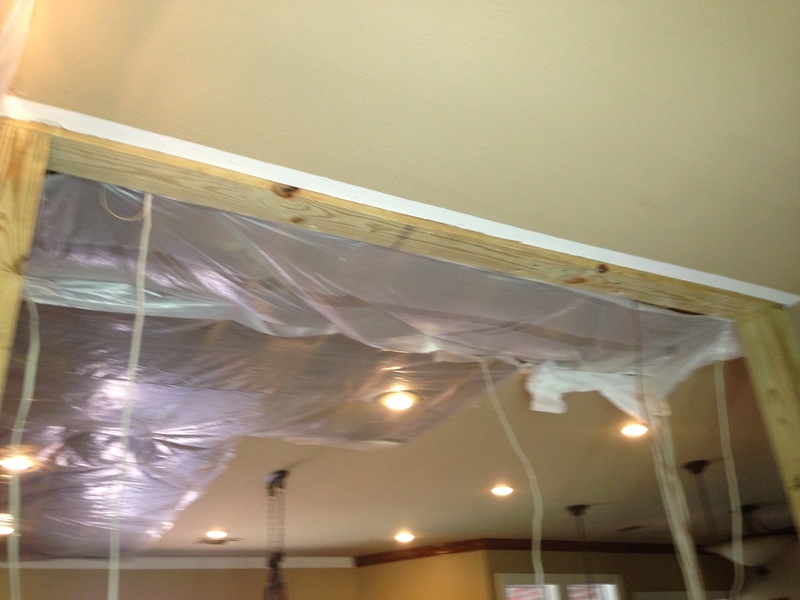 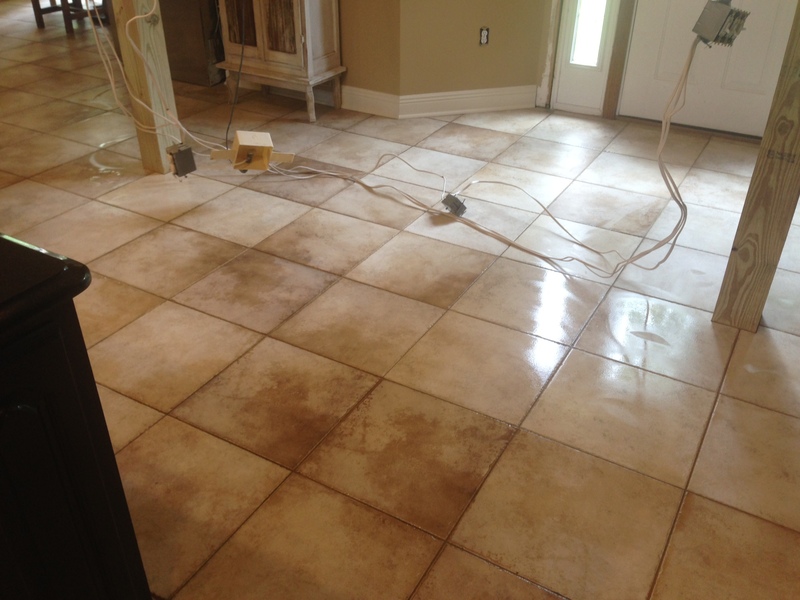 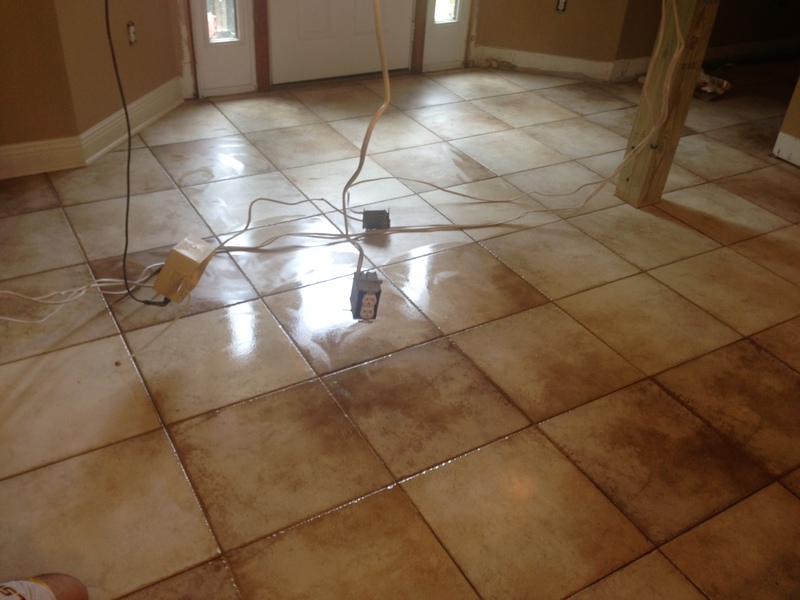 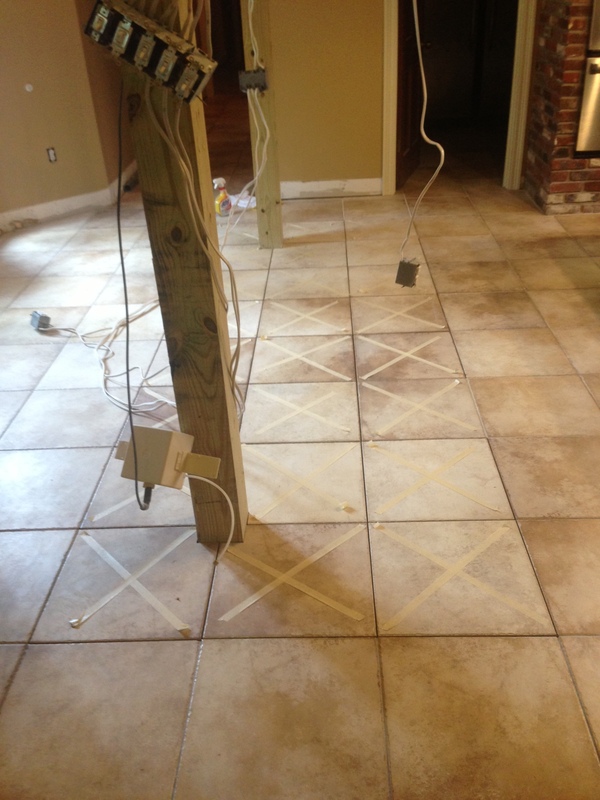 Finally, we replaced all the old tile with new ones and we were finished. 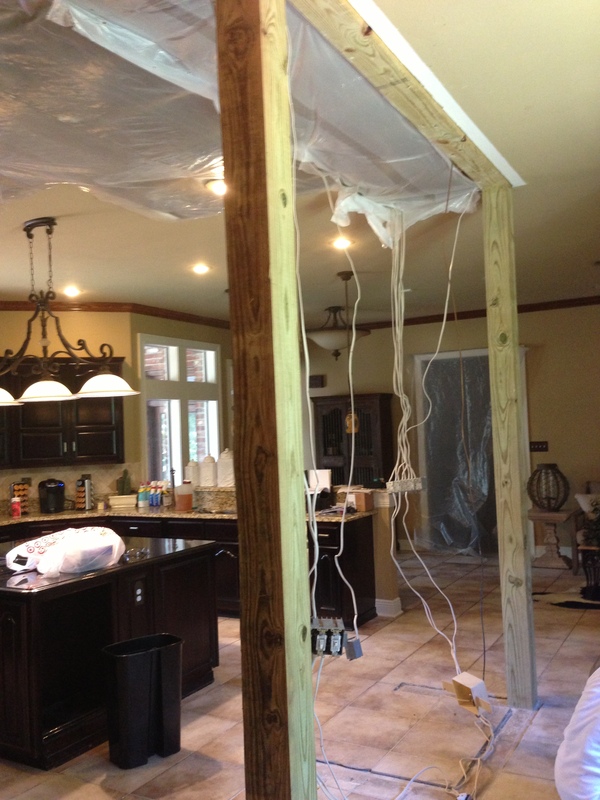 Not to bad, just waiting for them to call me back when they are ready for me to wrap there columns in cypress. 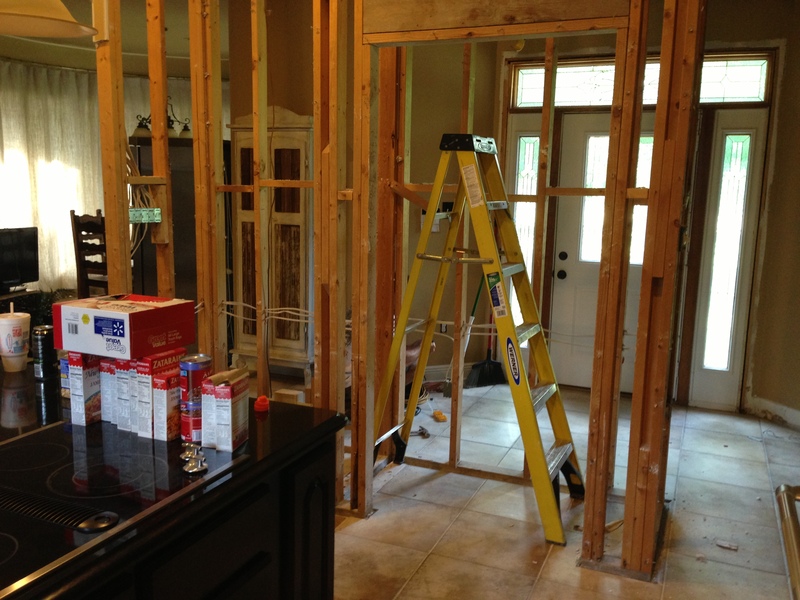 It’s going to be awesome!